Ok, I think I’m finally starting to get a little more comfortable with the mic. At least, I’m hoping. . . .
Lots of great tracks today. Music from [Headspace], Mike Kershaw, Kinetic Element, Third Voice, Notice Grace, Cosmograf, Glass Hammer, Yes, Signal to Noise Ratio, Kevin McCormick, Tears for Fears, Sixpence None the Richer, Theaudience. I guess we can let the cat out of the bag since Michel up in Quebec has posted on the website. We are the Church of Prog for next year at Terra Incognita! Our first festival on a main stage after doing the Prog Day Pre-Show twice. What else might happen between now and then! Keep an eye on this because the lineup is pretty awesome. Kinetic Element: Mike Visaggio (keys and vocals); Michael Murray (drums and vocals); Todd Russell (guitars); and Mark Tupko (bass). Travelog tracks: War Song; Travelog; Into the Lair; Her; and Vision. If I had to put a label on this. . . I would label it. . . . 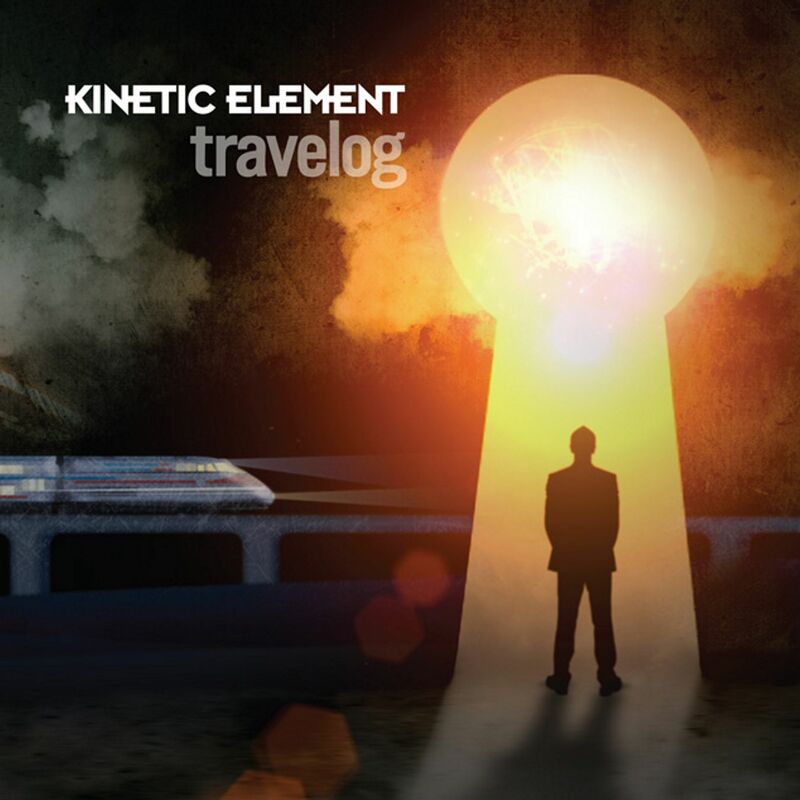 Kinetic Element’s second release, TRAVELOG, a thing of mystery and beauty. As much as I hate labels and labeling as forms of dismissal, I also recognize how important labels can be for finding context. Every once in a while, I find a thing that is so beautiful it defies any labels or categorization. Such is the new Kinetic Element album, TRAVELOG. I’ve had a review copy for about 2 weeks, and I’ve enjoyed every listen. Yes, every single one. Indeed, “enjoy” is simply too weak. This is an absolutely incredible album at every level. For some reason, as I listen, I can’t get fanciful mergers and conglomerations out of my head. TRAVELOG could be, an Americanized Flower Kings album. This is what comes to mind most frequently. Yet, I hear elements of Zebra and Saga and Triumph and Glass Hammer. There’s psychedelia and folk and prog. Lots and lots of prog. No one would mistake this as anything other than a very authentic American expression of prog. But, what kind of prog? If early Styx wrote A TRICK OF THE TAIL. If 1971 Allman Brothers wrote TORMATO. If 1975 Kansas wrote the one and only Blind Faith album. Yes, it’s this last one that fits best. If you can imagine Livgren and co writing and performing “Do What You Like,” you’ll start to get the idea of Kinetic Element. I love this album. It’s a thing of intense and meandering beauty. Just as the title of the album suggests, TRAVELOG is a journey through the dark night of the soul, finding doubts but also vistas of joy and, amazingly, patriotism. Though over 20 minutes long, “War Song,” the opening track to the album, pulls the listener into the journey, full immersion, demanding a complete surrender of the will. Though dominated by instrumental excursions—all heavenly—the minimal appearance of the lyrics makes the vocals all the more important. The protagonist must choose between his love of country and his love of a specific woman. Nothing is easy, and the choices demands sacrifice. The listener feels every aspect of the pain the man goes through in his decision. Track two stunned me. A reworking of “America the Beautiful,” the song made me cynically wonder at what point would the band proclaim the irony of what they’re doing. There is no such irony. These guys absolutely mean what they say: America is beautiful, and we denigrate it at our own peril. Honestly, as an American who rather proudly came of age in the 1980s in Kansas, I’ve not felt this proud to be American since 1989. Thank you, Kinetic Element. This is a song that could’ve gone wrong at every point. It never does. The third track, “Into the Lair,” is a cry against conformity, mediocrity, and a duplicitous Leviathan. A new voice takes the lead vocals, a more folky version of Glass Hammer’s Suzie Bogdanowicz. Track four, “Her” begins with unrelentingly romantic keys, but the lyrics reveals that the woman is not all she seems on the surface, seeking to devour her prey. The final track, “Vision of a New Dawn,” is almost as long as the first track and certainly as epic. Lyrically, it’s an anthem, a call for integrity, openness, and honesty. This is Kinetic Element at its most Peartian. A final note, it wasn’t until I’d finished this review that I realized that Steve Babb and Fred Schendel mixed this album. A lot more makes sense now—all to the good!